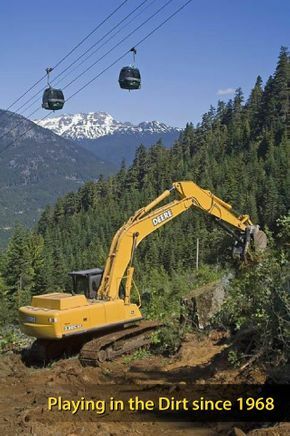 C S Jackson Heavy Equipment Services Ltd serves Pemberton, Whistler and areas across BC with reliable heavy equipment services. Our highly skilled and experienced team provides a wide range of excavation and trucking services. Planning your construction project? Call or email us to discuss the details and specific needs of your project. Count on us to take your municipal, industrial or residential projects through to completion with our dependable services, which include land clearing, blasting, demolition, custom crushing, slope stabilization, all building work, utility installation, heavy equipment rentals and more. Whether you need high-quality aggregates and topsoil delivered to your worksite or anything else, we have the expertise and equipment to get your job done in a timely and efficient manner. We specialize in complete small water treatment systems, HDPE pipe installation and remote location work. Discuss your needs with our dedicated team. Planning an Industrial Construction Project? We offer excavation, demolition and custom crushing. Looking for a Heavy Equipment Company? Our family-owned business serves clients in BC.